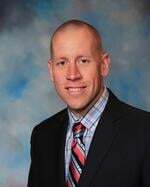 Waukesha, WI - R&R Insurance Services welcomes Scott Shaver as Commercial Account Executive. Scott comes to R&R with over 25 years of insurance experience in providing strategic and operational leadership. He has an extensive background in commercial insurance including general liability, products liability, auto and property, with an emphasis in workers’ compensation. 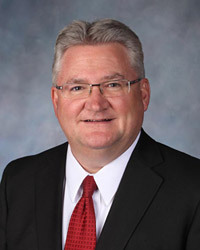 Scott’s previous executive leadership roles include managing a large workers’ compensation claim department for a mono-line work comp carrier, and managing a corporate self-insured claim department for a Fortune 500 manufacturer with multiple global locations and over 11,000 employees. Waukesha, WI - R&R Insurance Services welcomes Dan Gotzler and Jeff Sewell as Employee Benefits Consultants. With an extensive background in Sales and Business Development, Gotzler will specialize in Group Health Insurance and Employee Benefits. 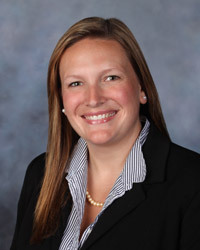 Gotzler was most recently the Director of Business Development at Jannsen + Company, assisting companies throughout Wisconsin with Accounting, Payroll, IT, Human Resources and Wealth Management solutions. Specializing in healthcare compliance and regulations, Sewell joins R&R with a substantial background in sales, marketing, operations and management. Previously a Regional Sales Director, Sewell provided marketing, implementation and promotion of Pre-Tax Benefit Offerings across a majority of the state. Waukesha, WI -- R&R Insurance Services, Inc., headquartered in Waukesha, has named Stephanie Katzfey as Creative Marketing Specialist. Katzfey has more than seven years of marketing experience ranging from experiential to online. Prior to R&R, she worked for GMR Marketing LLC and Pinstripe, Inc. in a variety of client services roles. As a Regional Manager at GMR Marketing, Katzfey managed strategic programs with account teams and assisted in executing events for national clients. Katzfey will be responsible for the creation and execution of both traditional and digital marketing functions in support of the business growth objectives and brand management for the entire agency. R&R is continuing to invest in the knowledgebroker™ brand through use of Facebook and the knowledgecenter blog. Katzfey holds a Bachelor of Business Administration in International Business and Language Studies from Saint Norbert College. Waukesha, WI -- R&R Insurance Services, Inc. has named David Lancaster Vice President of Employee Benefits. Lancaster has more than 25 years of insurance industry experience in managing insurance operations, agency relationships and team development. Prior to R&R, he worked for Liberty Mutual Group in numerous high-profile positions including President and CEO of Indiana Insurance. Lancaster has multiple years of experience in both P&C and employee benefits management roles. Lancaster holds a Bachelor of Business Administration in Risk Management and Insurance from the University of Wisconsin. He holds the designations of Certified Employee Benefits Specialist (CEBS) and Chartered Life Underwriter (CLU).